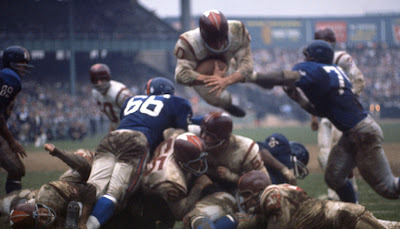 From 1960-1964, the Washington Redskins wore what I consider the prettiest uniform in sports history. It was simple, elegant and the feather down the middle of the helmet was a statement. There was nothing fancy about this uniform and that was its beauty. Today, the 'skins and just about everybody else think gaudy is good. It's not. 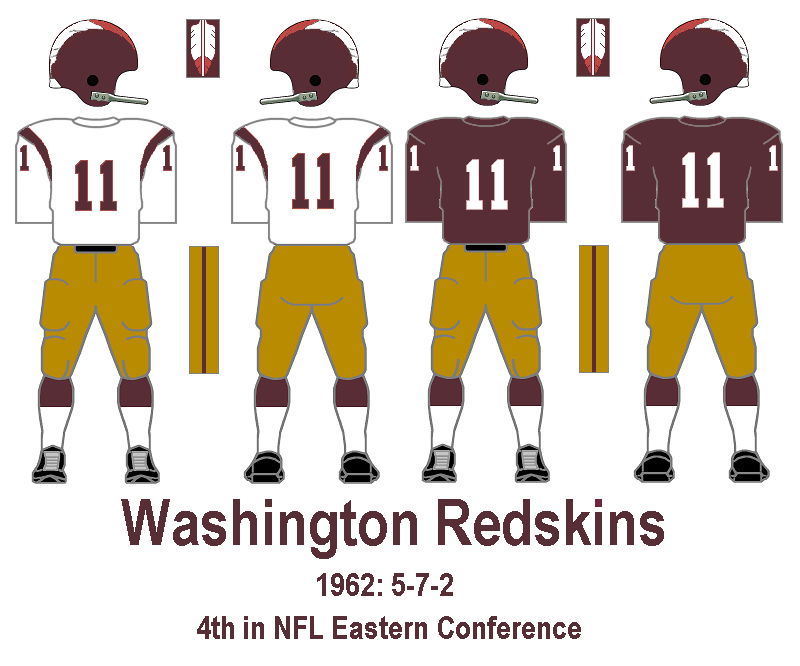 Remove the striping and piping and the 'Skins uniform would still be a pretty one, but this period (with my old football number above) is as good as it gets. The 'Skins just lost to Russell Wilson and the Seahawks 24-14 in the first round of the playoffs. Both of them wore ugly unis. Here's to the feather helmet! Completely agree. The simplicity was striking. 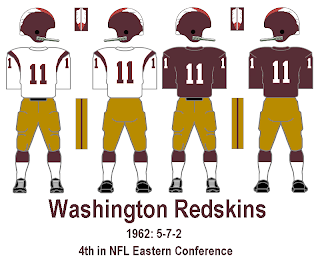 But, not sure if you're aware, but the Skins wore white pants (with no striping) when wearing white jersey's in the late 50's up until at least 1960. As a matter of fact, if you look closely at the picture here (from 1960), you'll see white pants. It's Saturday Night: Where Are the Scores? SUBSCRIBE VIA EMAIL to have blog posts delivered directly to your inbox.